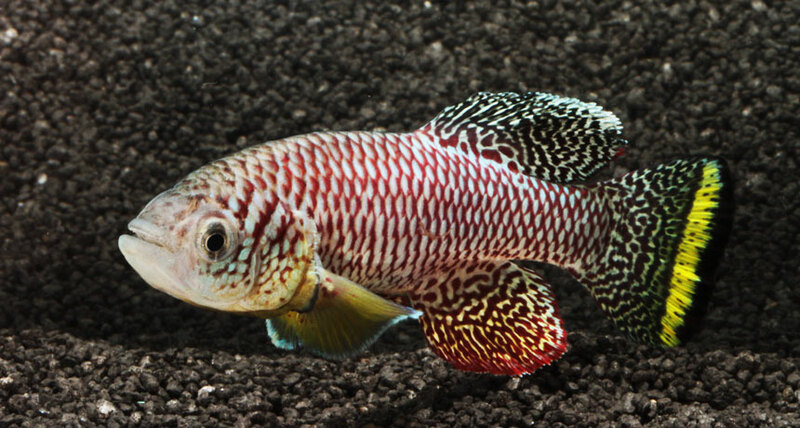 OH GROW UP Scientists knew from lab tests that a kind of killifish (a male shown) beats the records of all other vertebrates known for maturing fast. Now researchers have clocked it in the wild, and it's even faster. Some other vertebrates come close, but they take shortcuts, says coauthor Martin Reichard, an evolutionary ecologist at the Czech Academy of Sciences in Brno. House mice, for instance, sometimes grow up in 23 to 30 days. Yet they're born at a more advanced stage of development than the hatchling fish, Reichard says, and get a boost from mouse milk. And a kind of goby fish "matures" in 23 days by just growing a gonad on a larval body. Tramping around the killifish's natural savannah habitat showed that these fish manage a more impressive feat. Hatchlings can grow from just 5 millimeters up to 54 millimeters with functional gonads in just two weeks. When puddles dry, fertilized eggs can stay alive without hatching for months until it rains again. These fish “do not waste time with anything," Reichard says. "Mating does not involve much elaborate courtship." A male briefly extends his fins, and if he's accepted, the female lays one egg before swimming off to find another mate. She manages 20 to 100 eggs a day, "typically before noon," he says.